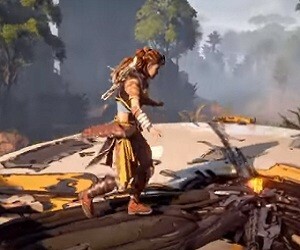 PlayStation has released the gameplay trailer for the upcoming action role-playing video game Horizon Zero Dawn. Developed by Guerrilla Games and published by Sony Interactive Entertainment for PS4 in 2017, the game centers around a hunter and archer who lives in a post-apocalyptic land overrun by robots. She must combat and kill the mechanised creatures by making use of ranged and melee weapons and stealth tactics. The game, which won the award for Best Original Game at the 2016 Best of E3 Game Critics Awards, will be released on February 28 in US and on March 1 in Europe.